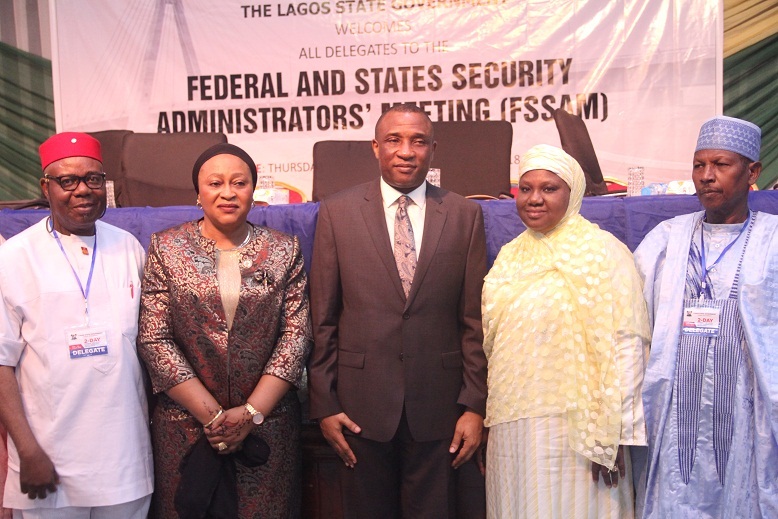 Director Special Services, Office of the Chief of Staff (COS0 Lagos State, Mrs Raliat Alaka,Secretary to the State Government (SSG) Mr Tunji Bello and the Chairman Federal and State Security Administrators Meeting ( FSSAM) and Permanent Secretary Special Services Office Dr. (Mrs.) Amina Shamaki (mni)( FSSAM) at the Federal and States Security Administrators’ Meeting,(FSSAM) held on Thursday 30th of August 2018 at the NECA house, Agidingb iIkeja,Lagos State. Permanent Secretary, Office of the Secretary to the Government of Anambra State,Dr Emanuel Ude, Director Special Services, Office of the Chief of Staff Lagos State,Mrs Raliat Alaka,The Representative of the Governor and Secretary to the State Government (SS G), Mr Tunji Bello, Chairman Federal and State Security Administrators Meeting ( FSSAM) and Permanent Secretary Special Services Office,Dr. 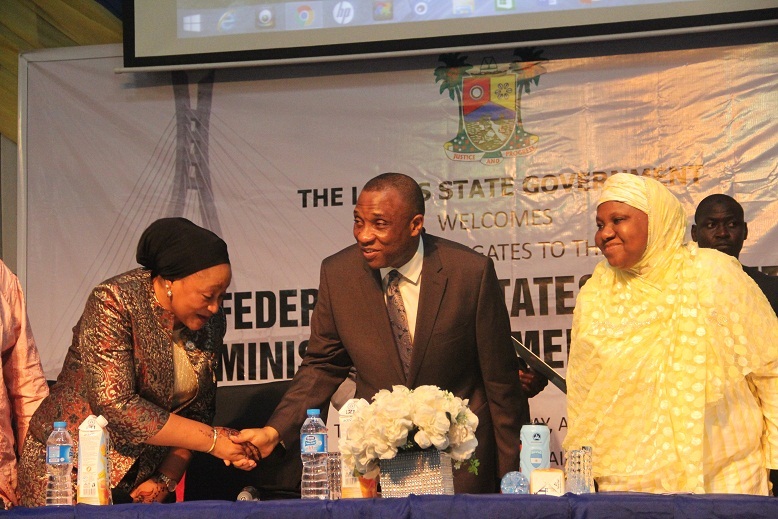 (Mrs.) Amina Shamak i(mni) and DG, Special Services, Office of the Governor of Kano State Col. Umar Malami at the Federal and States Security Administrators Meeting(FSSAM) held on Thursday 30th of August 2018 at the NECA house, Agidingbi,Ikeja, Lagos State. 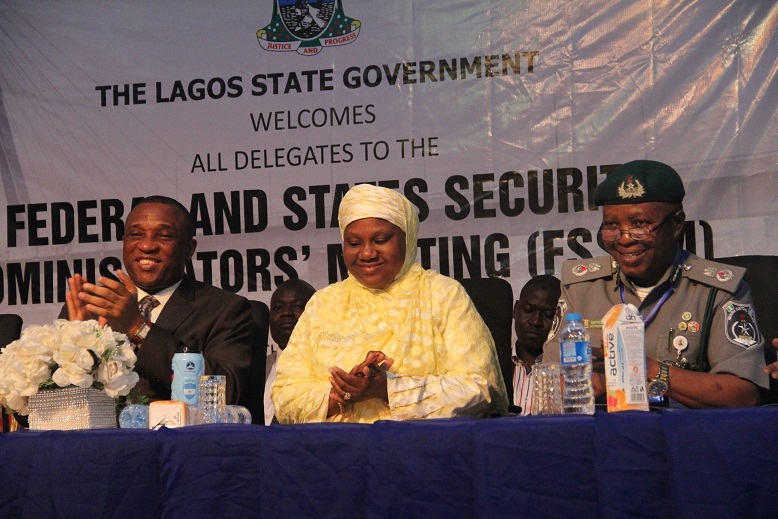 The Representative of the Governor and Secretary to the State Government (SSG)Mr Tunji Bello, Chairman, Federal and State Security Administrators Meeting ( FSSAM) and Permanent Secretary Special services Office Dr. (Mrs.) Amina Shamaki(mni) and the representative of Customs Comptroller General, Customs Area Comptroller Tade Adetoye at the Federal and States Security Administrators’ Meeting (FSSAM) held on Thursday 30th of August 2018at the NECA House, CBD, Alausa, Ikeja.